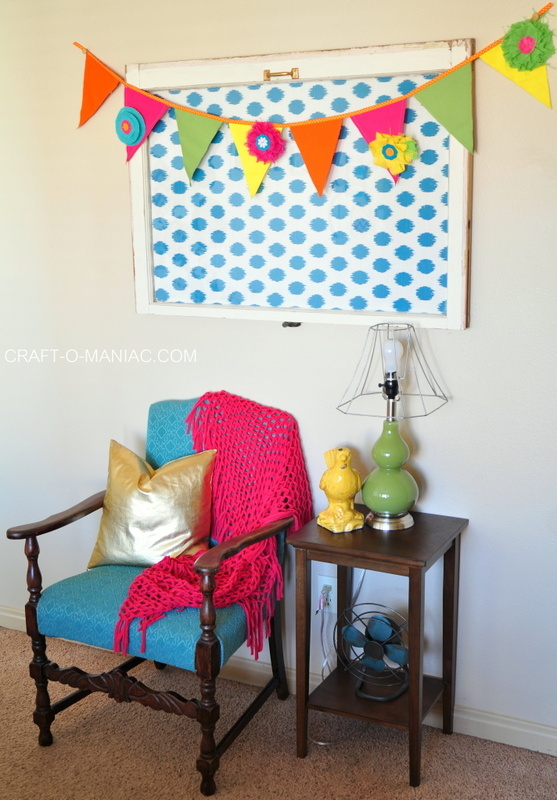 Hi friends, today I am sharing some happy spring and summertime decor. 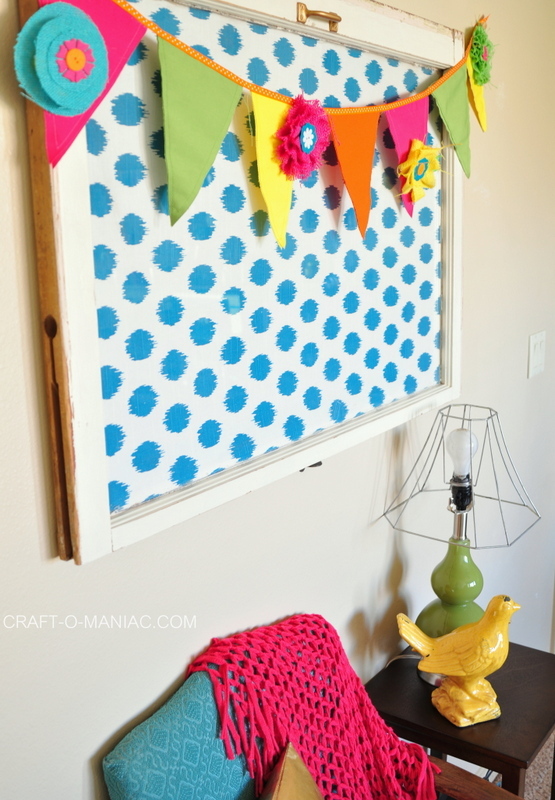 To bring this cute space together I had the help from some Canvas Corp products and was able to make this darling Colorful Canvas and Burlap Flower Pennant. I think the pennant really helped finish this space and I just love how happy it is. I used some pre-cut and pre-sewn Canvas Corp. pennants some burlap Canvas Corp. flowers. 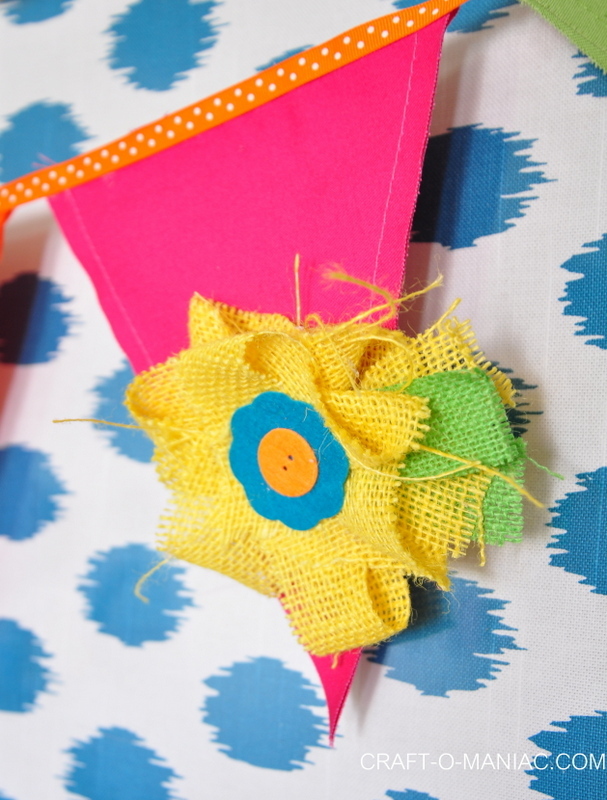 I also used some yellow and turquoise Canvas Corp burlap to make my own DIY flowers. 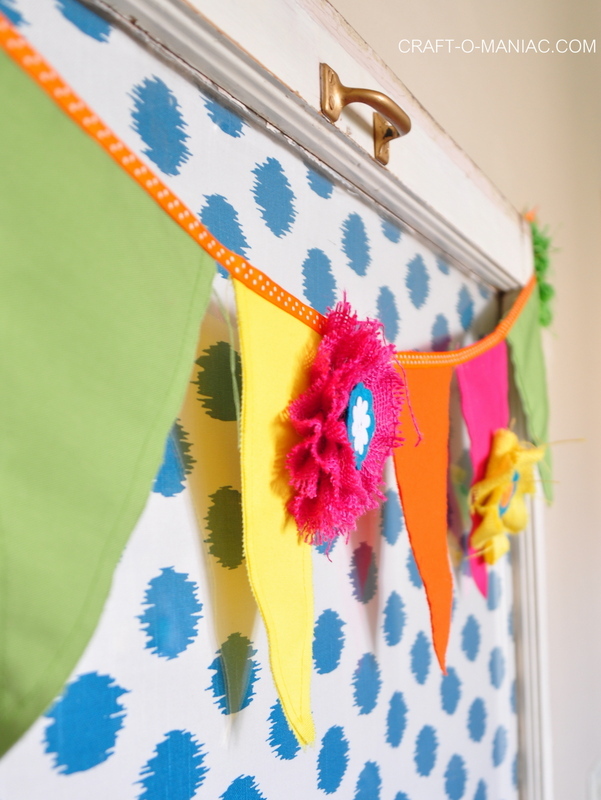 Finally I used some polka dot ribbon that I hot glued across the pennants for hanging and I used some felt flowers and felt buttons to help embellish the flowers and give them more layers and texture. Lets take a look at the final pennant and pictures shall we? For this particular yellow burlap flower, I just cut a long strip of yellow burlap and looped and folded it were I liked it. I hot glued down the pieces once I liked the look. I also added a layers little tail off the side with more burlap and then finished it with some hot glued felt flower and button. For this burlap flower, I cut out 3 different sized burlap circles and layered them with pom poms underneath, that were hot glued down to give the burlap flower a 3-d dimensional look. I also finished it with a felt flower and felt button. 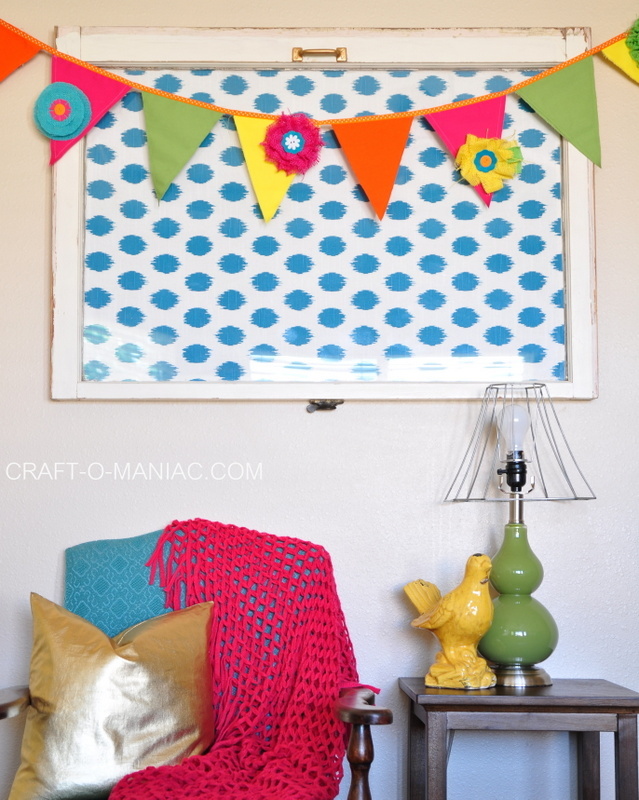 I think it looks cute tacked up over the vintage window that I lined with some fabric. 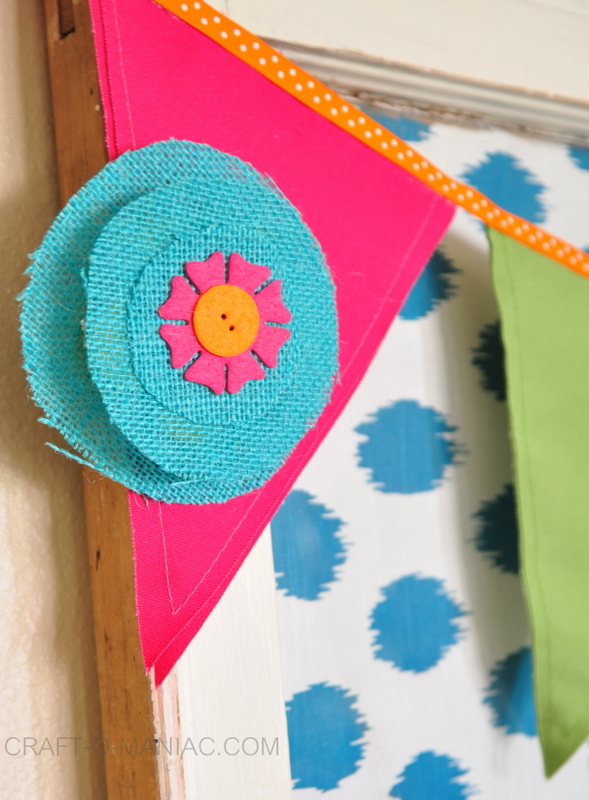 This pennant is a great way to spruce up a simple space and give it some color.